The Union-Castle Line's heritage spans over a century. It provided the mail service to South Africa for 120 years and established an unrivalled reputation for punctual schedules. From the middle of the nineteenth century it ran `like clockwork' until its demise in 1977, a victim of emerging competition from jet aircraft, increasing fuel costs and the containerisation of cargo. As a company, the Union-Castle Line used the latest technical innovations of the day, constantly striving to improve speed, reliability, customer comfort and safety. Its lavender-hulled ships were some of the most impressive vessels of the time. Yet the story of the Union-Castle Line is also one of people - the passengers and crew ensured that the line survived for so long. This book tells some of their fascinating stories, including tales of shipwrecks, war service, missing gold bullion, escaped wild animals and even the occasional murder on board. Utilising previously unpublished diaries, letters and photographs, this illustrated volume chronicles the shipping line from its glorious beginning to its tragic end. 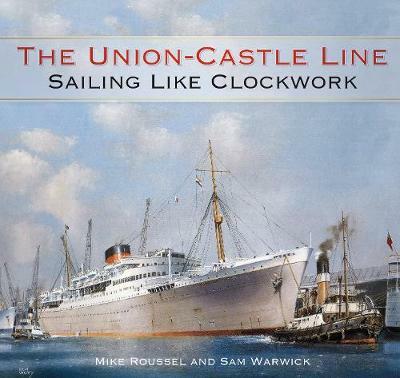 It is a multifaceted history of the Union-Castle Line, which examines some of the company's shipwrecks as well as the fond legacy of the line today.